This is my first Mod that contains dialog files, a store, and a quest. The battle is pretty rough, and I would suggest a party of 6 level 5 or better ... depending on your ability. 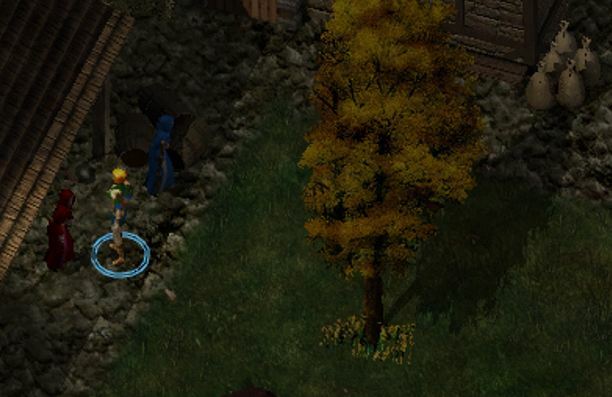 The quest starts at the Friendly Arm Inn (just to the left after entering the drawbridge). There will be 3 monks, the one in red has a story to tell you. If you take his quest and then complete it; when you return he will give you a unique leveling relic (with a future quest tied to it). Once completing the quest he will also open up a Store from Kara-Tur. I couldn't figure out 2 pieces of the Dialog, so I will list them now; < CHARNAME > is supposed to list your character name (it did not work for me). The second being creating/updating/deleting Journal Entries, so I gave you items instead that have reminders of what you are to be doing ... they serve as well as tips to the huge easter egg the quest itself is. If you enjoy playing a Monk there are some very nice items to help you through your early life (don't forget your Wisdom). The store has a mix of about 30+ new items (around 7 or so new types). The relic is something you'll have to figure out how to work, but it has 4 levels of power. All in all it shouldn't be too over the top, the highest items in the store are +2 and there are only 3 if I remember correctly. It may need some fixes, but I have run through it about 10 times and it seems to function ok for me. If you run across an issue please let me know, and I would be glad to correct it. If you really have to know what is in the store, or what powers the relic will give, send me a PM. I hope it is enjoyable! ** Two quick pix. 1. This is your quest giver. 2. .... the lights go out. What's that spinning around the head of the Avatar? That was a really tough battle and I enjoyed it! Keep up the good work. @Mikaal ... thanks ... I wanted it to be tough, but thought I might have overdid it a little. Glad you enjoyed it. I can't install the mod. It goes in error. @ShapiroKeatsDarkMage Can you be more specific? What did the error say? It says i need to put the file in the Infinity Engine folder. The game crashes when I ask for what they sell, after I returned with the bag of red. Great little mod - thank you Corsymyr. Some nice touches for a monk or a Kara-tur character. The monk outfits should say 'garb' instead of 'grab' though! I enjoyed the mod! I do have some feedback for you though, mostly concerning the store. Firstly, may I suggest converting 'Masterwork' into 'Mastercrafted'? Just to make it more grammatically correct. There is a blank space in the store that costs 0gp and is selectable. I also assume it is supposed to say 'Monk Garb' but it shows 'Monk Grab'. The Masterwork Pudao also shows 'Masterwok' i'm not sure it's that effective of a cooking instrument heheh. Also my Lawful Good Human Fighter with 19 STR doesn't have access to the Ronin's Blade, he can't use it for whatever reason. Install Component [T'Was a Slow Boat from Kara-Tur]? Will be unable to UNINSTALL later. If that's important, I'm on a Mac. Confirmed, same problem. This mod cannot install on OSX 10.8 and 10.9. Played this mod, even though I enjoyed the battle, which was not that hard IMO, because it's exploitable, the items themselves look overpower. I have a few suggestions of ways to improve the battle and the items if you will. I'll drop you a mail with them in order to not spoil the details of the mod for the rest. Unfortunately, I got a bug during the initial dialog, I could activate the quest, but I haven't seen what the guy say and I have no idea of what I'm supposed to do, could you explain a little bit? It looks like the author hasn't been active in the forum since march. Oh... So could anyone who completed the mod help me? Could someone just tell me what to do first after talking with the monk? If you received the snowflake item in your inventory, you need to head to the lighthouse area, fight a special encounter there and retrieve a red bag from it. Bring the red bag back to the monk. Played this now and realized it's actually the area north of the lighthouse, by the wrecked ship. Be aware though, it's not an easy fight. I have the same problem as @Mishulo‌ and @mr_nameless‌ trying to install on OS X 10.8.5. If anyone knows how to get around the problem I'm sure all us mac users would really appreciate the help as it looks like a great mod and it would be a shame not to play. May someone tell me how to improve the left eye of genzou? And please don't use this terrible speedyshittyshare.com site. You mod will be gone forever if nobody will download if for the next 30 days. Looks like the mod author isn't active anymore, but yeah, it would be good to re-upload it somwhere safe. Anyone found out what the eye does? The store also sold me a strange item with no description and picture for 0 gold that is unremovable. Ok if any one is curious here is how the eye works: When you take enough damage the eyes effect is triggered and you are healed and the eye levels up. I am not sure if a monk needs to wear it for the effect. This seems to work until it is rank IV. Then it is a pretty awesome ion stone with +1dex and wis and blindsight, increased view distance and 2 special skills per day. 1 is wizards eye the other gives you critical hits for 5 seconds. Does this mod work fine with BGEE 1.3? 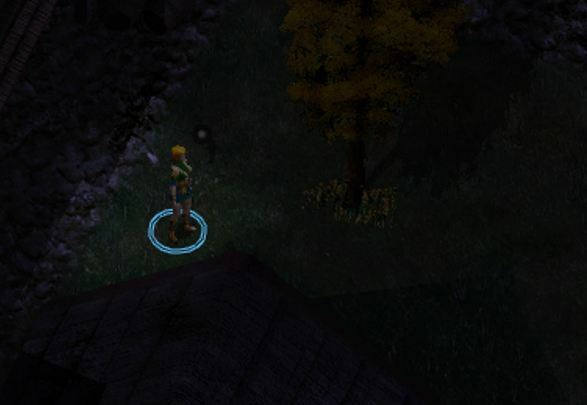 @Corsymyr is there any chance you might make a similar mod for BG2EE? does anyone have an alternative link to download this mod? uhh.. whats wrong with zippyshare?